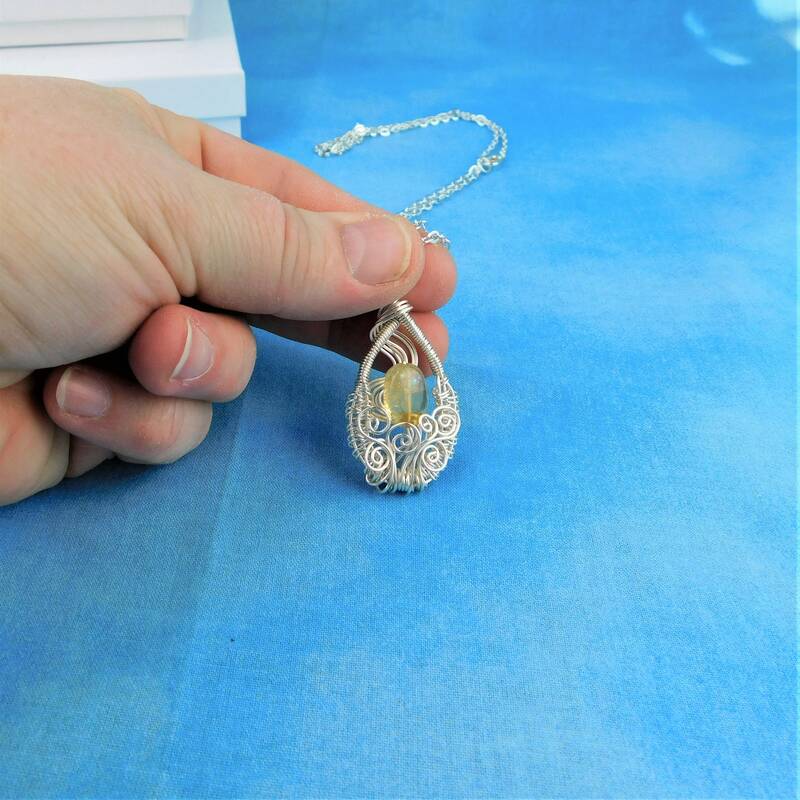 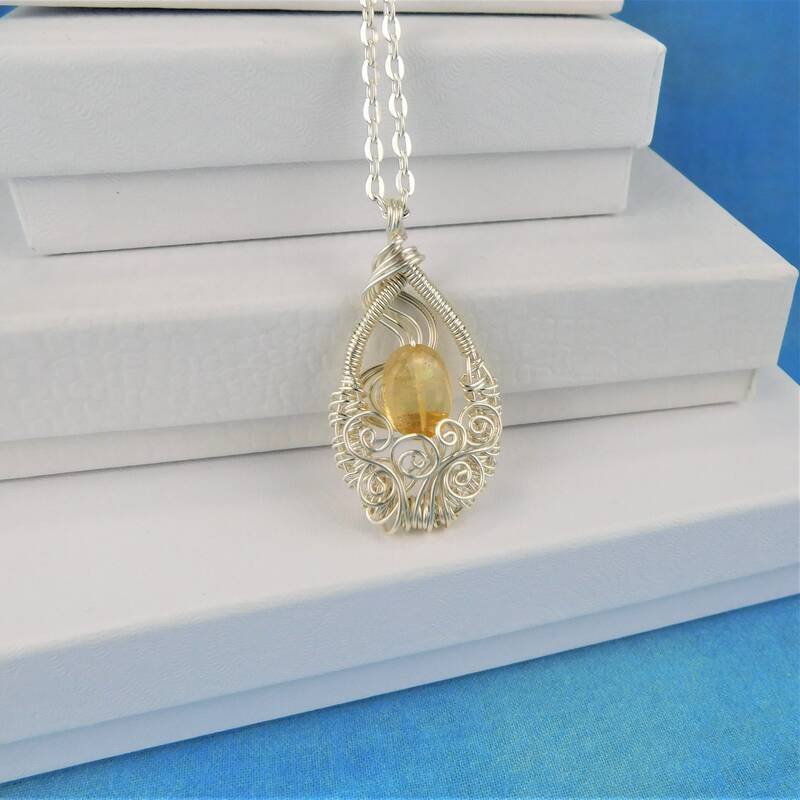 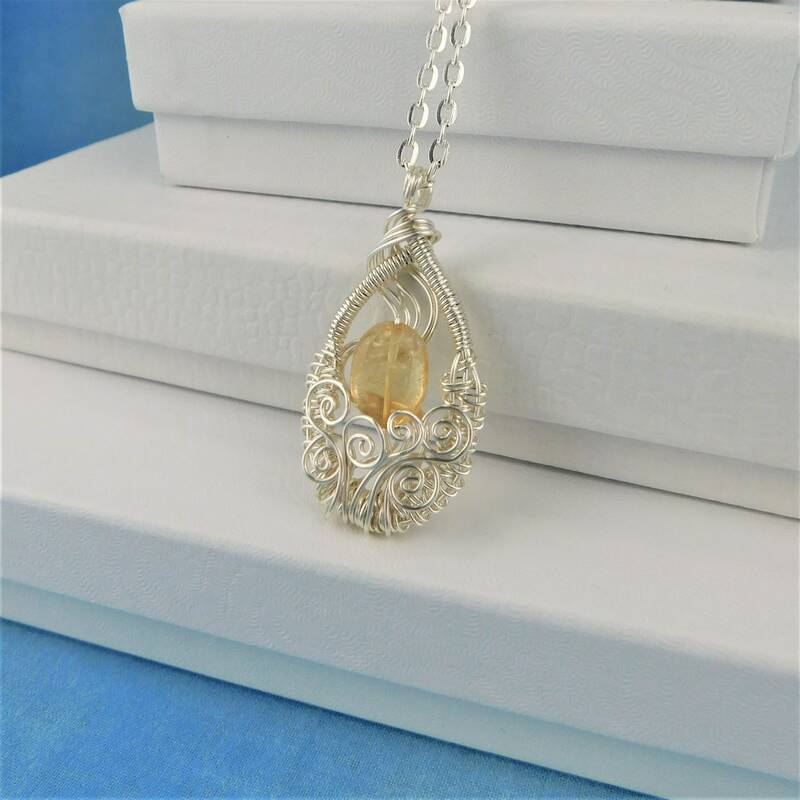 A genuine Citrine gemstone is framed by an artistically crafted wreath of non tarnish fine silver over copper wire. 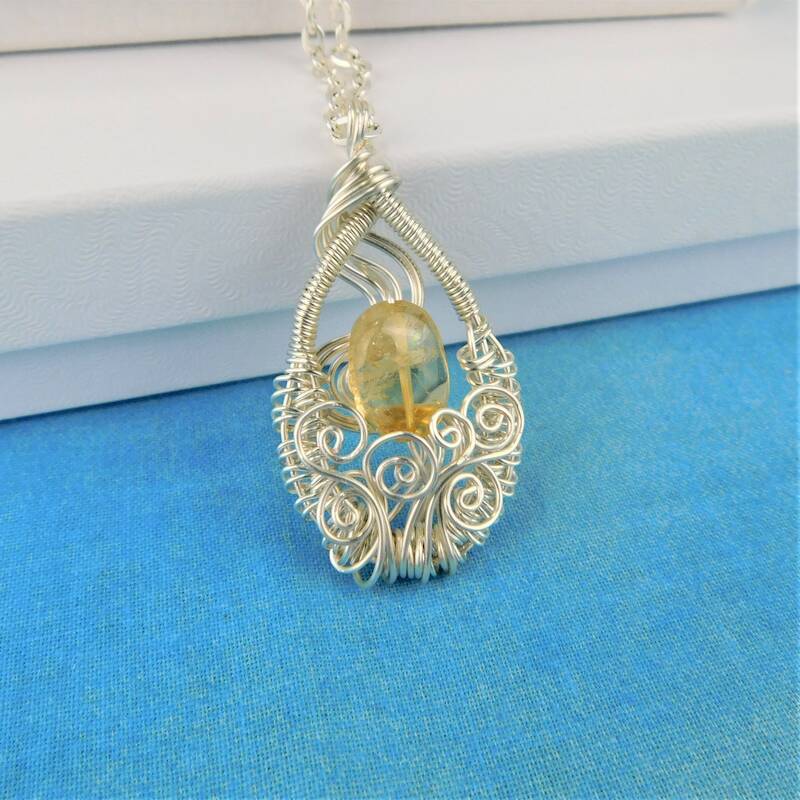 This handcrafted necklace was created using only four individual strands of wire, pliers and patience. 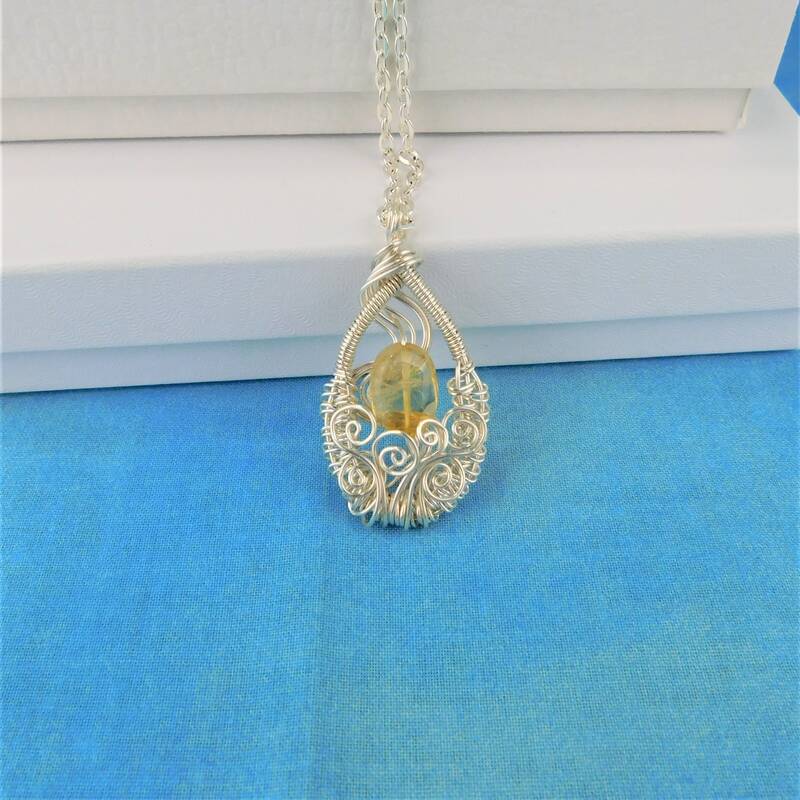 It is a unique and special piece of wearable art, ideal for gift giving. 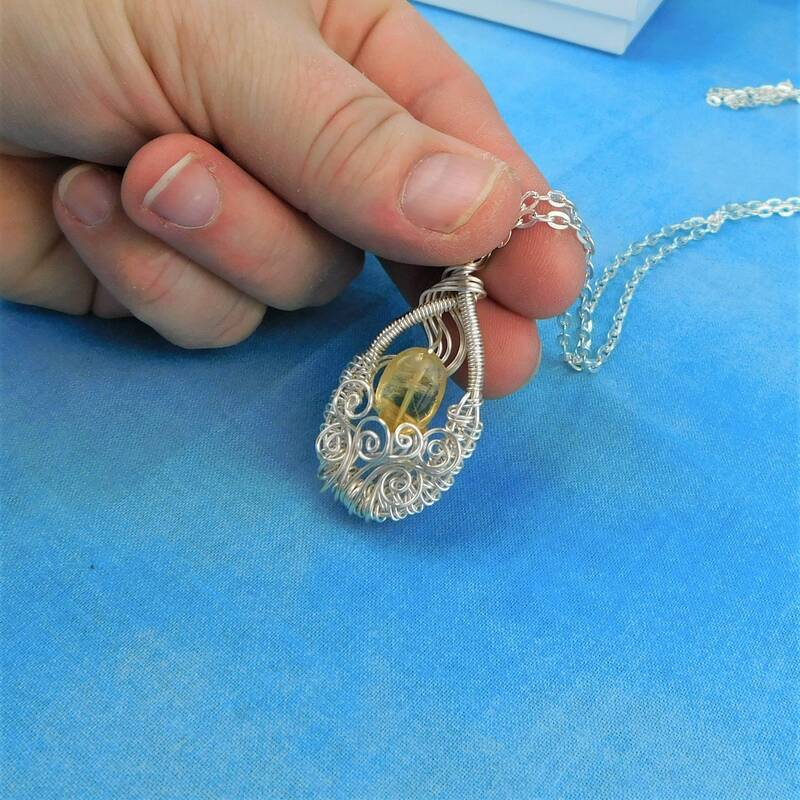 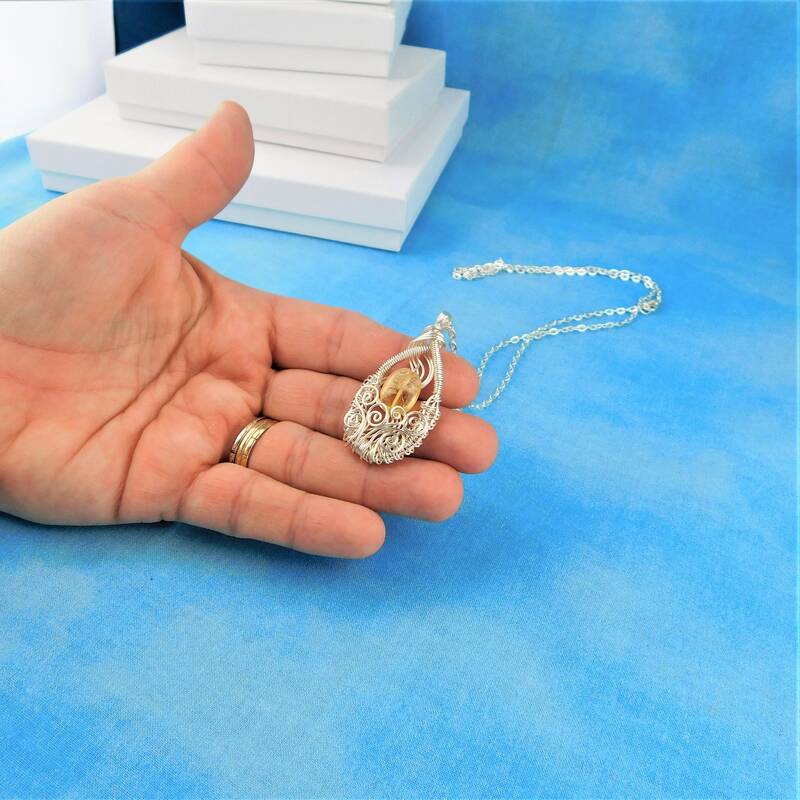 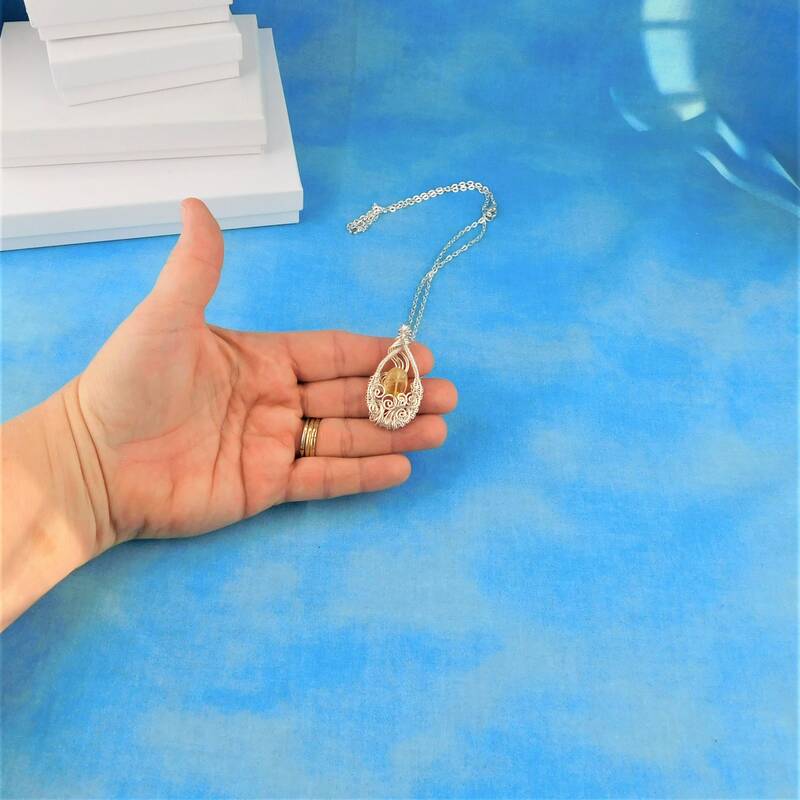 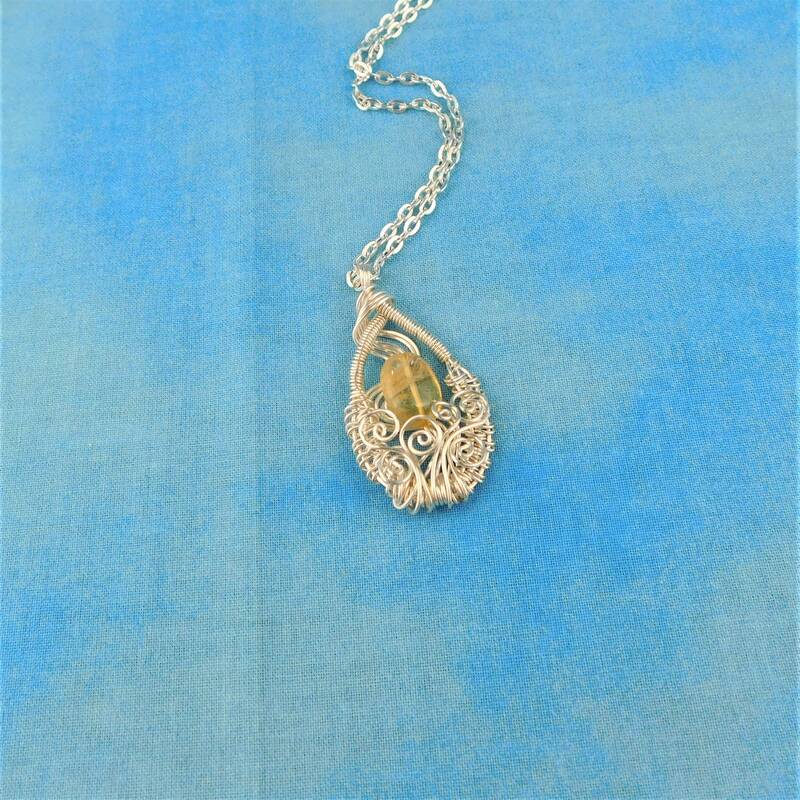 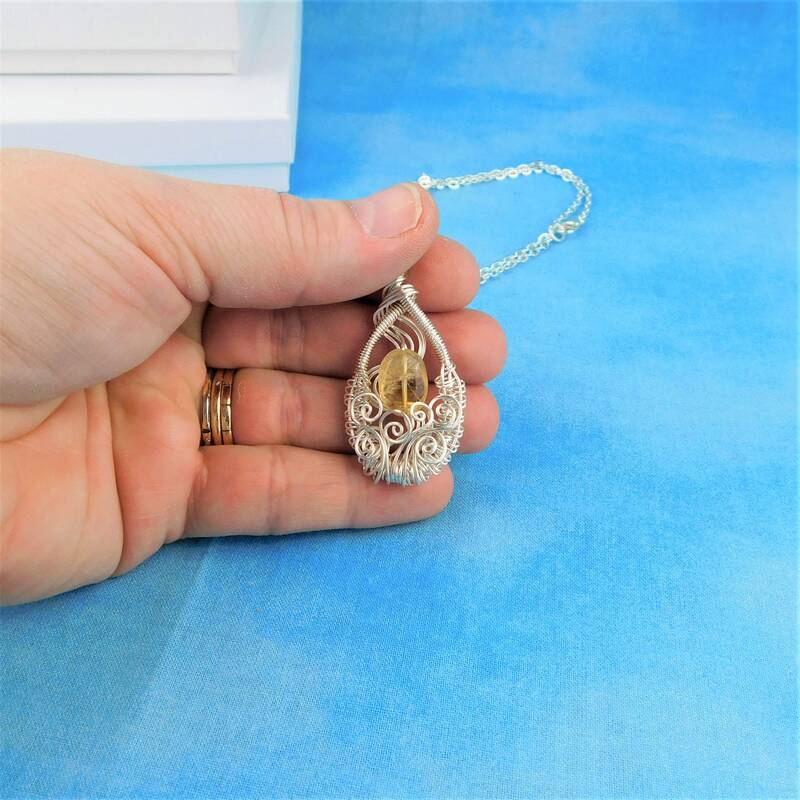 The pendant is woven and sculpted to create a 1 1/2 inch by 1 inch pendant style necklace that comes with a FREE coordinating chain with lobster claw clasp, measured to your preferred length.